There's no question that a low carbohydrate diet can be effective. However, it may seem like the disadvantages outweigh the benefits. Fortunately, there is a solution to these problems and it is called "carbohydrate cycling." In fact, much of The GHF Customized Diet Plan Meal Plan, a very effective, personalized low carbohydrate diet foundation is based on a very effective fat-loss strategy called "Carbohydrate Cycling." Carbohydrate cycling might just be the most effective low carbohydrate diet method of losing body fat ever devised! This technique has been one of the most well-kept secrets of bodybuilders and fitness models, but it can be used by just about anyone to accelerate fat loss or break a fat-loss plateau. Carbohydrate cycling when on a low carbohydrate diet is the practice of rotating lower carb days with higher carb days instead of keeping carbohydrates at a constant all the time. This method allows you to burn fat at an accelerated rate during the lower carb days and then to replenish your glycogen (carbohydrate) stores on your higher days. This helps to prevent your metabolism from slowing down and makes your nutrition plan much easier to stick with because you have a higher calorie/higher carb day to look forward to and enjoy. There are no hard and fast rules about how to cycle your carbohydrates on a low carbohydrate diet, but the most common method is to take three days on lower carbs followed by one day on higher carbs. Another method is to eat lower carbs Monday through Friday, followed by an entire weekend (Saturday and Sunday) of "carbing up." The cycling method that worked best for me, another low carbohydrate diet method you may want to try, was simply making Wednesday and Saturday my higher carb days. So, Sunday through Tuesday would be my lower carb days-the 3-day period that decreased my glycogen stores for maximum fat-burning efficiency, before I replenished carbs on Wednesday. I then depleted my glycogen stores again on Thursday and Friday by decreasing my carbs before I refueled again on Saturday and started the low carbohydrate diet cycle over again. Carbohydrate needs are very individual when on a low carbohydrate diet. Remember: there is no single low carbohydrate diet that works for everyone. Because of hormonal differences, some people can't seem to lose weight unless they reduce their carbohydrate intake, while others can eat bagels and pasta all day long and have "6-pack abs." 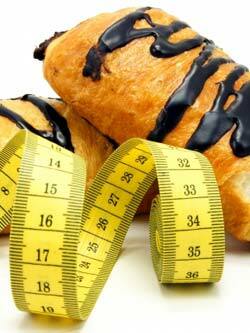 Therefore, how many carbs you can eat and what cycle is best for you depends on your body type. The only way to determine how many grams of carbs is right for you on your low carbohydrate diet and the best time to eat them is to experiment until you find your "optimal level" and your preferred "carb cycle." The more you experiment, the more you'll learn about yourself and the better results you'll achieve. On average, when "carbohydrate cycling" on a low carbohydrate diet, women will want to consume 125-175 grams of carbs on lower days and about 200 to 300 grams of carbs on higher days. Men will want to consume 175-225 grams or carbs on lower days and 350-400 grams of carbs on high days. These are just averages, as every person is different, but a general guideline nonetheless. Please let me know if you need help in deciding the right amount for you to begin experimenting with. Moderate carbohydrate restriction with a low carbohydrate diet, especially of simple processed carbs, combined with carbohydrate cycling is probably the most effective low carbohydrate diet strategy ever! However, low carbohydrate diets, when taken to the extreme, may do more harm than good. Never cut your carbs out completely; in fact, I wouldn't ever recommend going lower than 30% and, for most people, 40%. It's not wise to go to extremes in anything and this is as true for dieting as with anything else in life: moderation is the key. Refer to The GHF Customized Diet Plan Meal Plan, a very effective, personalized low carbohydrate diet, for excellent ideas on a good balance of protein, carbs, and fat. Then be sure to experiment and modify these meals specifically to how you feel and to the progress you begin making. That is, if you feel weak or lack energy, you may to increase the amount of starchy and fibrous carbs in your meals. On the other hand, if you have plenty of energy but aren't experiencing much fat loss, you may be "carbohydrate-sensitive/insulin resistant" and need to slightly (and gradually) decrease the amount of carbs you're consuming, especially of refined simple ("sugary") carbs. For every meal within The GHF Customized Diet Plan Meal Plan, a very effective, personalized low carbohydrate diet, you'll find easy-to-follow suggestions for modifying the foods to either contain more complete proteins, complex carbs, or unsaturated fats. Use these suggestions and continually experiment; really listen to your body and monitor your progress closely so as to customize this low carbohydrate diet plan specifically for you. >> Click here for the Global Health and Fitness Program – our low carbohydrate diet program that is chock full of very effective low carb diet strategies designed to turn your body into a 24-hour fat-burning machine. It's literally a low carbohydrate diet blueprint for achieving the very best results in the shortest period of time by eating the perfect foods combined at the right times in the right amounts - all customized specifically for you.